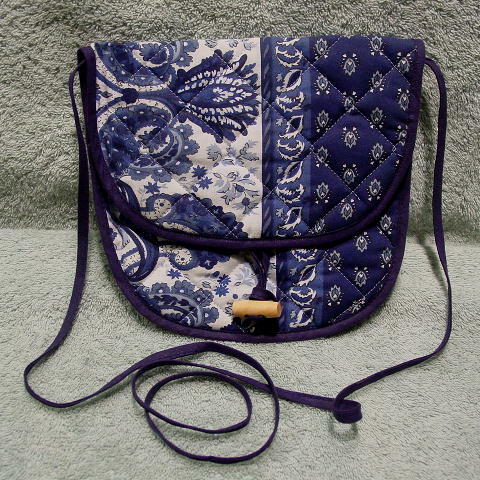 This handmade quilted fabric purse is in white and various shades of blue. The interior fabric is the dark blue pattern on the right. It has a wooden toggle-loop closure and a 48 1/2" long by 1/4" wide shoulder strap.